Show Time Rentals’ zeal for technology translates to an unbeatable selection of cutting-edge equipment including copiers, laptops, projectors, projector screens, computers, printers, plasma and LCD displays, TVs, wireless networks, wireless microphones and photo booths. We also provide copy services including printing, binding and delivery to your event. In every interaction with our team, we want you to enjoy the experience as much as you’ll enjoy reflecting on the flawless execution of your big day. Corporate education is a challenge with which Show Time Rentals' Audio Visual team will help you excel. Along with providing the technical experience to make your seminars impactful and memorable, we can record the seminars and ready them for archiving or upload; and Audience Response Systems will reinforce all the points you want your trainees to walk away knowing. When we say "any city, any event, anytime", we mean it. 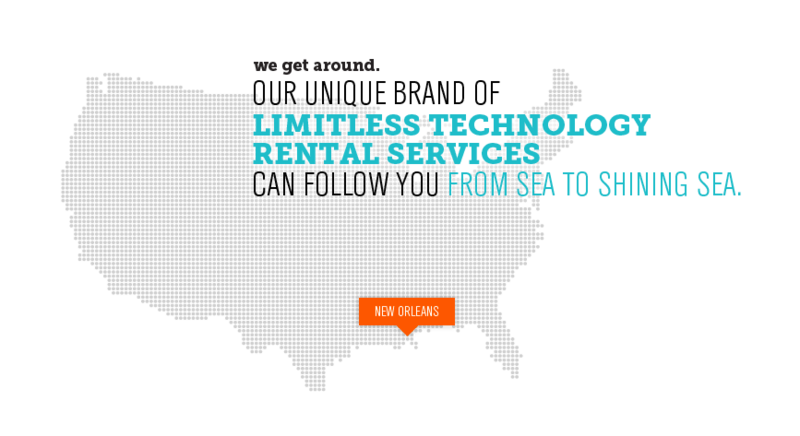 Show Time Rentals is proud to be a New Orleans-based company who has supplied audiovisual resources throughout Louisiana and who has assisted meeting and event planners for out-of-market events in the Gulf Coast states and venues as far as Las Vegas, Connecticut and Kansas. We are at home in convention centers, 5-star hotels, and your local restaurant. Our experience, flexibility and nimbleness means you can rest assured that your event will be a success whether it is within walking distance or hundreds of miles away.